Yes, You Can! 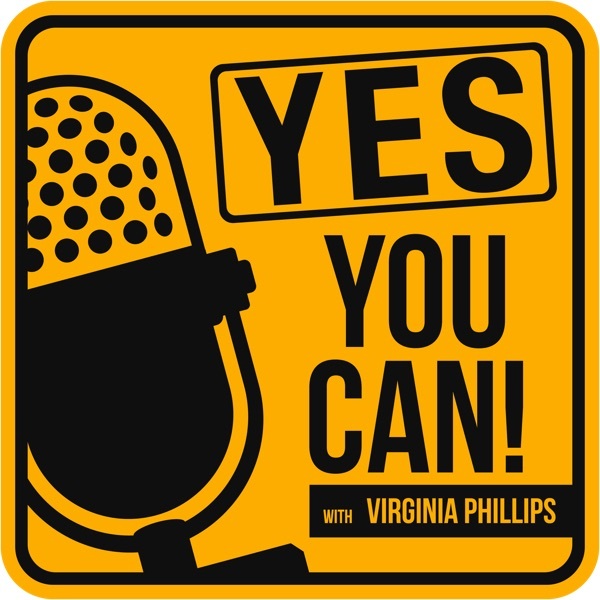 with Virginia Phillips podcast | Listen Free on Castbox. This is where entrepreneurs get inspired and get insider tips for success. I am your entrepreneurial coach, Virginia Phillips. I'm gonna show you why I started podcast and what I am going to promise to you every single week. Big or small, organizing events is essential to business. Turning your networks into partners and sponsors to your event can be a tricky part though. But it’s tricky no more as seasoned business development, sales, and sponsorship professional, Scott Morrison himself, tells it all. It all started with his passion for making recommendations on anything. Eventually, it was all about recommending the right partnerships to other businesses. In this remarkable conversation with our host, Scott shares his strategies and success stories in getting organizations to say yes. The first questions to ask yourself is this: What do your clients need that is beyond what you provide? Which businesses can provide such needs? Certainly, it does not stop in messaging your potential sponsors on Facebook or giving them a call. So Scott also talks about creating packages and the contract that you and your partner are willing to discuss and agree on. Keep your ears on this episode and learn how to be comfortable with not only connecting but also making the offer and closing the deal. Creating Content That Makes the Impact As an entrepreneur, are you also stuck in the “shoulds”? You should have a blog, you should be on Facebook more, you should be active on social media, and the list is endless. Do you really have to be on everything to reach your audience? CEO and principal content creator of Keynote Content, John Cook, has a lot of relevant input when it comes to sending a message that creates impact. He shares that you don’t have to have something new all the time. It is more important that you can deliver your take on matters that resonate with you and consequently affects your tribe too. It is more important that even when you send an already existing message, you can give it your own voice. In this episode, John also talks about finding your “content personality”. There can be pressures about being on every platform available on the internet when you have a business. But really, you can be on one platform where you can be comfortable and be your best. You don’t have to be a blogger, if speaking on stage is where you can communicate better. You don’t have to vlog, if you can express your thoughts through articles. Learn more as you listen on. It’s a given, with the internet age everything is ever-changing. How does your business keep pace to make it visible? Most of all, how do you keep yourself relevant even when you are searchable? Spartan Media CEO, Jeremy Knauff, gives us a glimpse of his expertise in digital marketing including web design, social media, and SEO. His first advice – don’t be average. Knowing that Google and social media algorithms are constantly changing and are becoming insanely complex, much effort, initiative, and thought should be applied in different aspects of your digital presence. Jeremy adds that it’s so little about meta tags or coding, not even just about the keywords used. Today, it is more like looking into content and user experience plus hundred more factors. In other words, you have to provide answers and not just promote business. This episode also tackles the following: -Is there such thing as oversharing of content when you are an expert? -Factors that drive traffic to a website which already appears good and relevant. -How to use data and analytics to track quality of audience engagement. Listen on and learn very practical and surprisingly easy to understand tips. Did we just travel in time that audio is now the trend again in media? Our grandfathers or great-grandfathers would use to tune in to radio for news and interviews while tending the farm or doing the day’s work. We would have not seen this coming in the internet age. Daniel Gefen, the #1 Bestselling Author of the book The Self-Help Addict and host of Can I Pick Your Brain?, emphasizes the relevance of podcasts and to be in podcasts if you want to be heard. Sure, you can still write articles to get the message across, sure you can still be on YouTube for publicity; but if you want to deliver your content to the rest of the population who can’t sit down, are on the go, or are just not in the moment to read or watch videos, then you definitely have to talk it away on a podcast. In this episode, Daniel also gives us a peek about the following: -How to take your engagements to a deeper level. -The link between loneliness and self-help addiction. -His journey of success and vulnerabilities. Create your own or be a guest, just be on a podcast! Value-add Marketing is Servicing Your Tribe Just a couple of years ago, business owners were crazy about creating a Facebook Page to gain authority and gather up the "fans". But how do you build a tribe of not just spectators but of actual people that really trust you and will speak and advocate for you and your business? In this episode, Sarah Dunn, owner of four businesses and Enterprise Account Executive at a major cloud-based software firm, talks about how a happy accident became a big community and incidentally, an avenue for her to ADD VALUE – servicing her target market even if they are just potential customers yet. Value-Added Marketing is just one strategy though, it has to be coupled with the eye for the numbers among other things. As such, she also talks here about becoming and the definition of an influencer, the routine she does on LinkedIn, and the consistent number of new connections she creates in a day. Catch Sarah on this interview and learn how she does it from an entrepreneur and corporate point of view. Business Relationships and How to Really Make Them Beneficial to You Going to events, meeting people, getting their contact info, and then what? Building relationships are easy for many entrepreneurs, the bigger challenge is making such relationships beneficial to business. Johnathan Grzybowski, a rogue-risk-taker-turned-serial-entrepreneur and host to the #1 business podcast, shares the story on how his venture turned big right on its first year. Being naturally extroverted, he started talking to people and getting to “every single networking event on the planet” for a 3-year period that he built a ton of network of people. This large group was especially useful when he was about to launch his graphic design platform – pitching them the idea, asking for their feedback, and getting them involved and invested in a way. He does admit that at first, he had to hard-sell his business on every person he meets. Somewhere along the way, he went for more lasting and stronger links by building friendships first. Johnathan also talks about the following: -The demographics to focus on when you are just starting up and grow from there. -The vision beyond revenue. -The beginnings of his first podcast. Listening to this young mind is going to be worth it! With the massive growth of internet users throughout the world, how significant is it to be on top of Google searches? How do you get yourself found in an ocean of websites? Our guest, Tom Casano, takes us briefly to the rather mind-boggling world of Search Engine Optimization (SEO). He shares some bits and pieces of SEO lingo and gives an overview of what makes a “keyword”, how you can align your content with the people you are looking for, and how search engine algorithms affect your page rank. He also talks about the following: -What does it mean to have a comprehensive content to drive more traffic? -How does linking back with other credible websites impact your presence on the Internet? -What do you look for when hiring an SEO team for your business? We got to tell you, it’s going to be technical, and that’s a good thing!